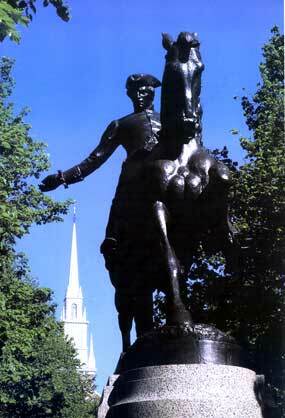 Happy Patriot's Day! Letters Blogatory wishes all of the runners in today's marathon good luck. As an initial matter, let’s observe that the due process issue here is a Fifth Amendment issue, not a Fourteenth Amendment issue. The reason I say this is that what’s at stake is not whether the exercise of jurisdiction by a court in New York would be consistent with due process, but rather whether the exercise of jurisdiction by a court in the United States would be consistent with due process. It’s true that in an ordinary civil lawsuit, the district court’s jurisdiction ordinarily is limited to the jurisdiction that a state court could exercise. But this is because of FRCP 4(k)(1)(A), a rule designed to ensure basic parity between the state and federal courts. In other words, the limitation of personal jurisdiction to state boundaries is not constitutional here. The reason I raise this is that it seems to me there is no constitutional reason why the court could not exercise jurisdiction over Santander Bank N.A., even though that bank’s headquarters are outside of New York. If the investors had brought a lawsuit against Santander Bank, then of course FRCP 4(k)(1)(A) would apply, and they would have, perhaps, to sue in Delaware, unless they could show that a New York court would have general or specific personal jurisdiction. But there are no limitations on where in the United States a subpoena may be served. Contrast FRCP 45(b)(2) with FRCP 4(k). So it seems to me that as to Santander Bank N.A., the judge should have focused on the statutory issue, and in particular the word “found,” rather than on the question of due process. The issue is a little more difficult with respect to Banco Santander S.A., because it’s a foreign entity that may not be “at home” anywhere in the United States, as it would have to be in order to establish general personal jurisdiction if it were a defendant. The precedents make it pretty clear that the presence of branch offices in New York is insufficient to vest a court with general personal jurisdiction over a foreign bank. I wonder if a typical personal jurisdiction analysis is the right way to look at non-party subpoenas, whether in aid of foreign litigation or even domestically. Under New York law, when you have a foreign judgment and you seek recognition and enforcement in New York, you don’t need to show personal jurisdiction. Why? Because the case is an ancillary proceeding to enforce a judgment that has already been reached. I might qualify the rule so as to say that you don’t need to show jurisdiction to the extent of the judgment debtor’s assets in New York. In any case, it seems to me that similar reasoning suggests a fortiori that you shouldn’t have to make a showing of personal jurisdiction in a subpoena case. After all, you’re not trying to impose liability on the target of the subpoena, and so perhaps you could say that the target isn’t really deprived of life, liberty, or property in the constitutional sense. I think the decision, if followed, is a big deal in subpoena practice generally, not just in § 1782 cases, because it’s common practice to serve subpoenas on New York branches of banks. The rationale of the court’s decision is constitutional and thus not limited to § 1782 cases. In terms of the overall effect on § 1782 practice, it seems to me there are two big buckets of § 1782 cases: “money” cases, brought mostly in New York, and “tech” cases brought mostly in California. Because the tech firms have their headquarters in California, the effect of the decision will be limited in those cases. To me, the big issue in the case seemed to be whether the typical personal jurisdiction analysis is the right frame through which to view the case. And that is why I am concerned by an account I heard, from someone who was there, of the oral argument. Apparently, despite some hints by the panel, counsel for the applicant conceded that the Daimler framework, the framework the Supreme Court has adopted as the ordinary personal jurisdiction analysis, should apply. But that’s precisely what’s in dispute in this case, or should be. As I wrote in the prior post, I don’t have a completely firm view here, but my basic sense is that it’s probably wrong to import the Daimler analysis into § 1782, because whatever deprivation of life, liberty, or property is involved in responding to a subpoena minimal and perhaps different in kind from the deprivations that a defendant in a lawsuit might face if found liable. I know people who have argued that a showing of personal jurisdiction might or might not be necessary in the context of third-party discovery (e.g., in a § 1782 action), but it certainly should not be necessary the context of recognition of foreign judgments, at least if the judgment debtor has property in the forum (because the judgment debtor has already had the case adjudicated). My intuition runs in the other direction: a showing of personal jursidiction might or might not be necessary in the context of judgment recognition, but it shouldn’t be necessary in the context of discovery, as long as the target of the subpoena has some presence in the forum. Why? One reason is a bit tangential to my point here: the common law conception of a foreign judgment is just as a right of action, not as a judgment that can be enforced once it is given an exequatur. That may be somewhat metaphysical—the upshot is that as far as our law is concerned, the foreign judgment debtor hasn’t had its liability here adjudicated and should be entitled to real due process protections. The target of a subpoena, on the other hand, will never have its liability adjudicated: it is not a party, but is simply being asked to give evidence. Yes, behind every subpoena ultimately the threat of the contempt sanction. But I don’t like or really agree with the kind of legal philosophy that tries to understand everything about the law in terms of coercive sanctions that could eventually follow from disobedience. Read my three-part polemic on legal history and service of process for some thoughts on the conceptual link we make between summonses and the power to arrest. I also want to point out that applying Daimler to subpoenas in the § 1782 context probably will mean constitutionalizing the reach of subpoenas in all civil and criminal actions. In any event: Second Circuit law clerks, if you are reading this—have a talk with your judges about Daimler and § 1782. Since the issue of its applicability hasn’t really been litigated, the court needn’t and probably shouldn’t decide it. Thank you!